We at USDS are pround to be one of the only SilencerCo Spec dealers in the area. Here is some info on the program. If you are interested stop by the shop or give us a call 317-300-8192. 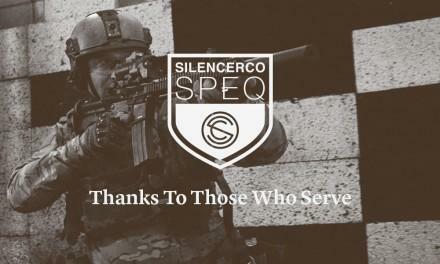 SilencerCoâ€™s SPEQ program is our way of saying thanks to our men and women in uniform. Short for Service Proven Equipment, the SPEQ program offers a substantial discount on SilencerCo products to current and retired military, law enforcement, and first responders. Through our partnership with B&H Police Supply, we are showing our appreciation for the silent heroes and helping them to #FightTheNoise. If you are unable to locate a dealer near you, please contact B&H Gun Sales directly by email at sales@bhgunsales.com or by phone at 321-890-1731.